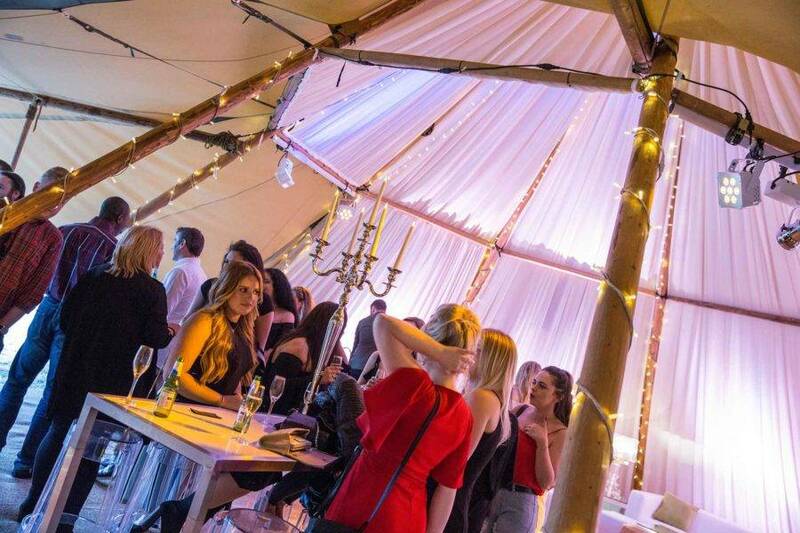 Cool glamour meets summer festival at this corporate staff party. 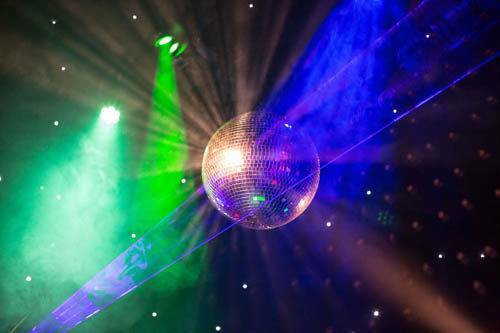 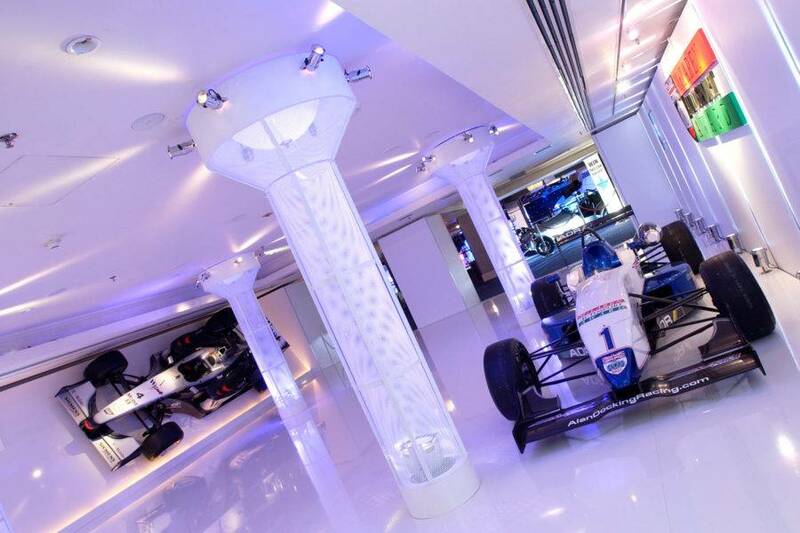 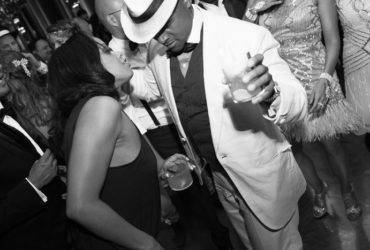 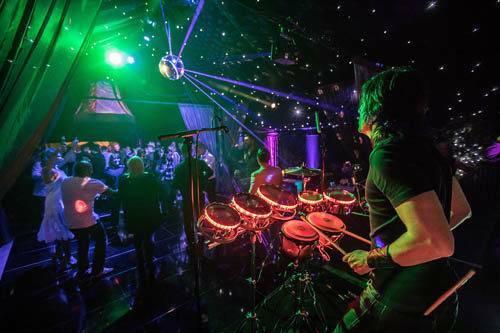 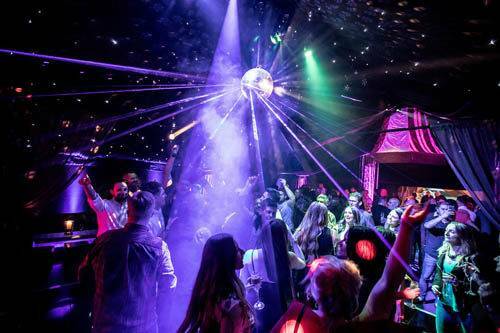 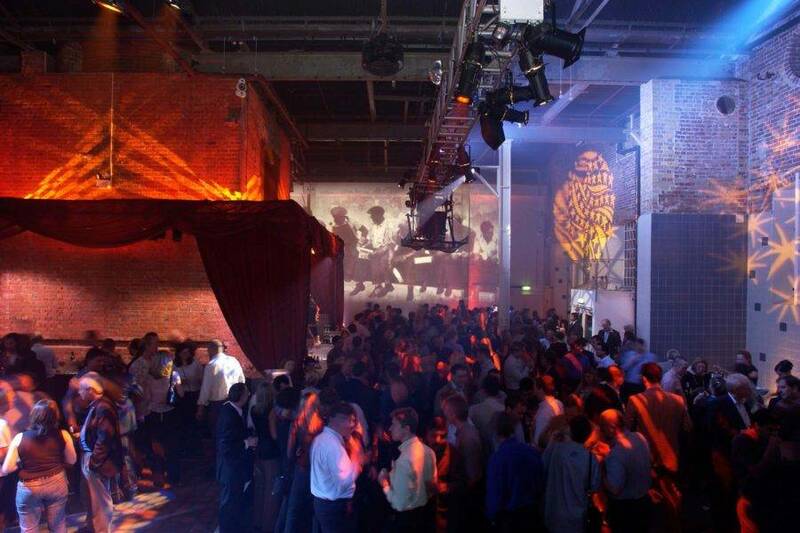 We took guests from day to night with the very best entertainment and in the most impressive party style. 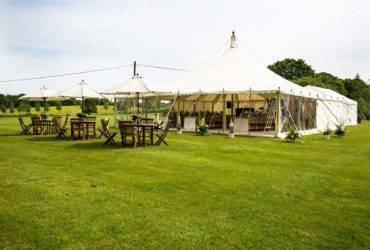 We’ve been this client’s party planners for many years for numerous private family celebrations. 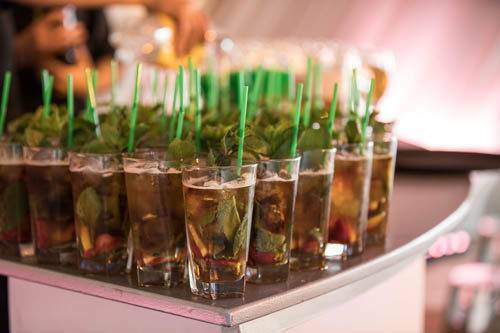 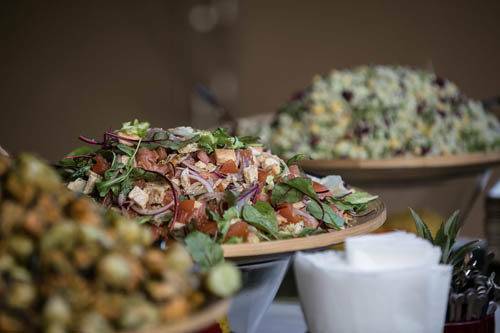 For this occasion, they wanted to treat their company employees to a relaxed and memorable summer party. 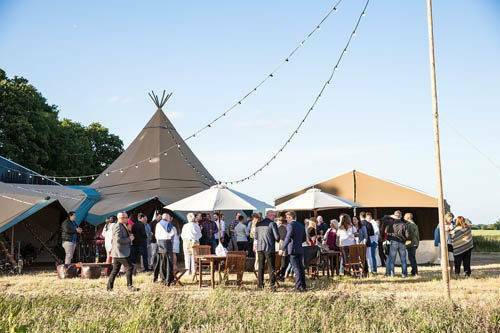 A bespoke printed invitation provided guests with the address of a rural empty farmer’s field, building the initial intrigue for the event. 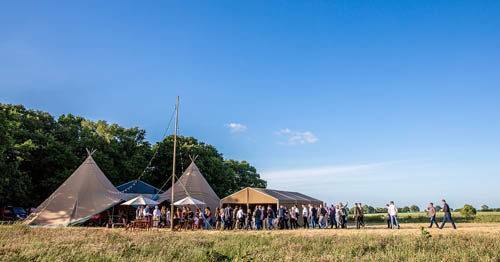 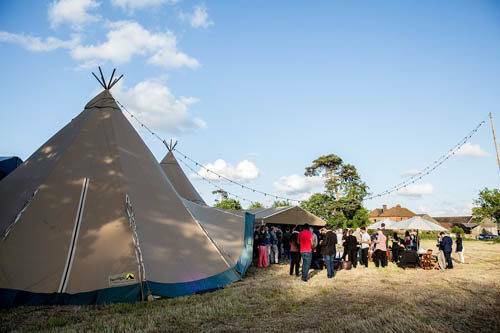 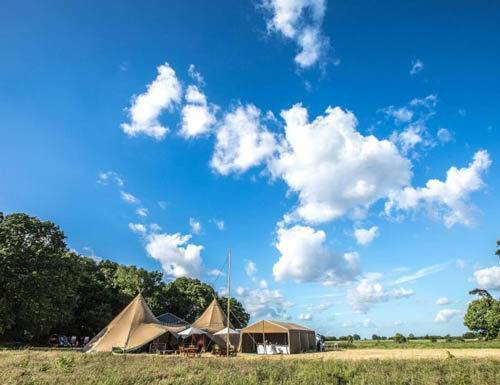 On arrival at the field, guests discovered two large giant hat tipis and early evening drinks served up with a glorious uninterrupted vista. 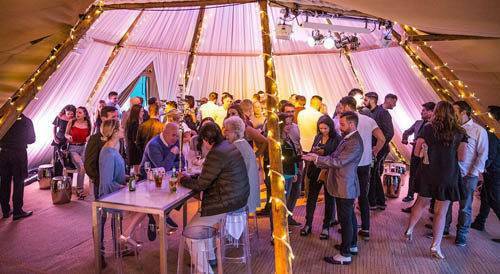 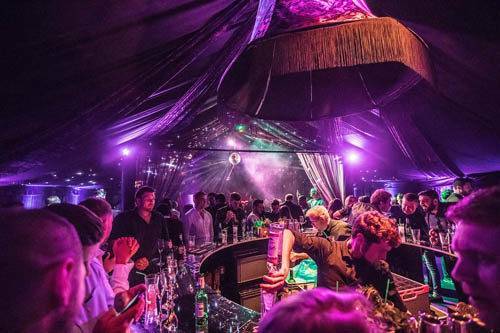 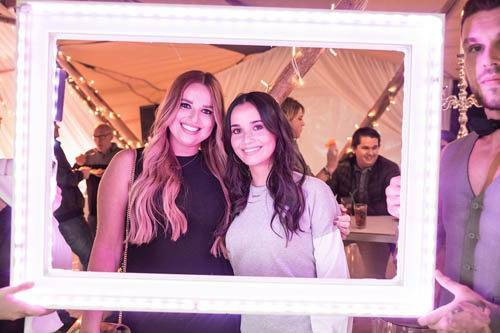 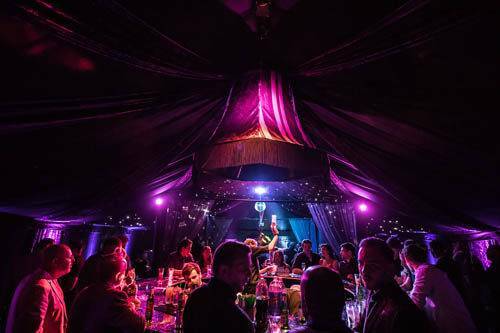 Guest then enjoyed a relaxed dinner – a charcoal grill with chefs cooking and carving in situ – followed by an evening in RAGE, the cool pop-up nightclub marquee. 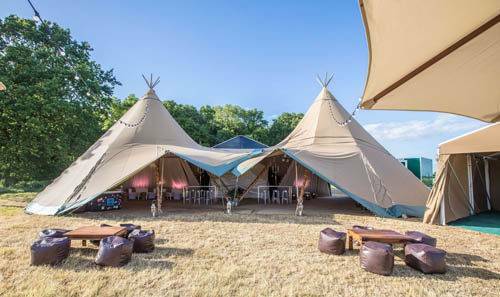 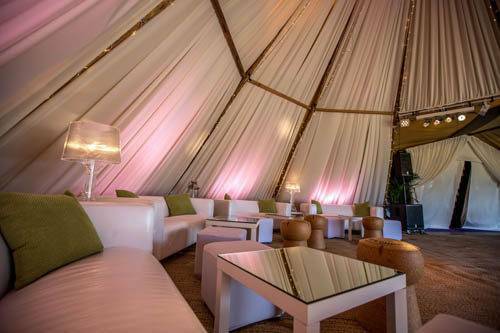 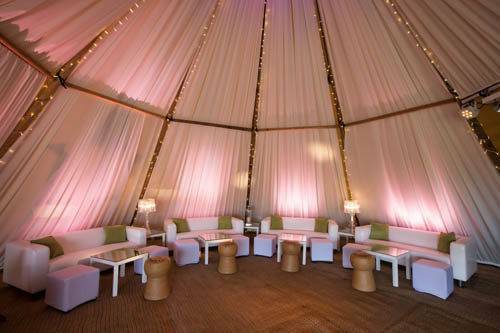 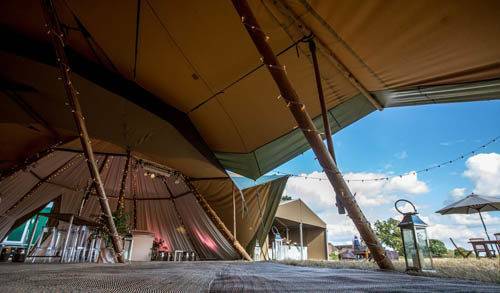 To add glamour to the giant hat tipis we installed furniture and lighting and draped the walls between the timbers from the apex down to the floor with taught white pleated drapes. 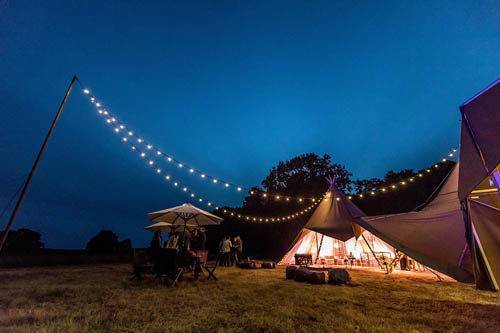 After the initial socialising and barbecue dinner, the wow factor stepped up a gear as drapes pulled back to reveal the Rage Pop-Up Nightclub. 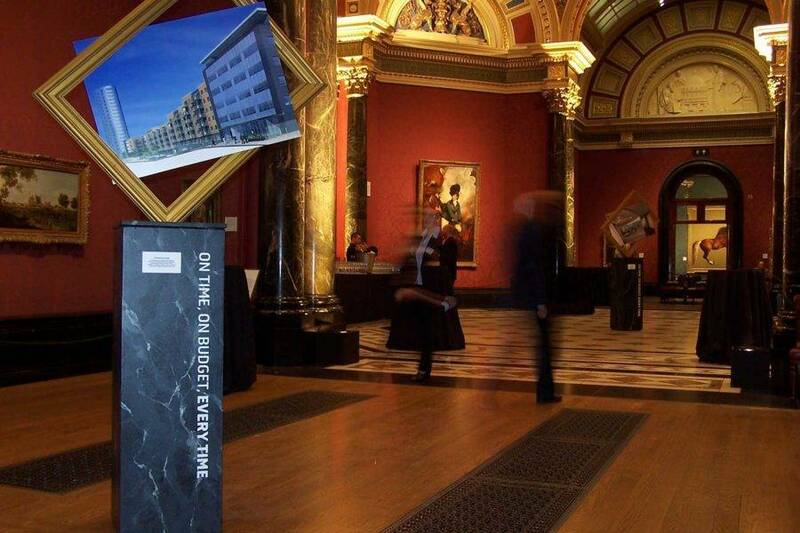 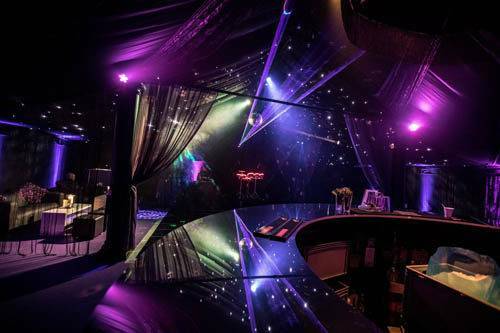 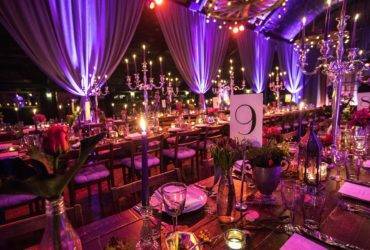 The excitement was palpable and guests were amazed at the sight of their exclusive and opulent nightclub for the night. 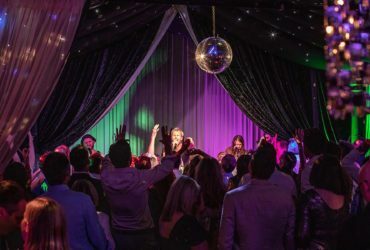 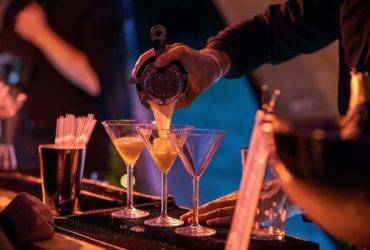 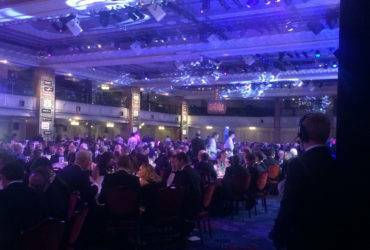 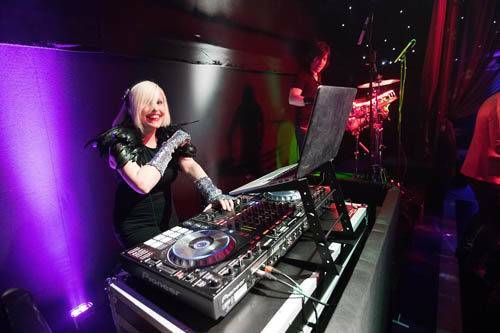 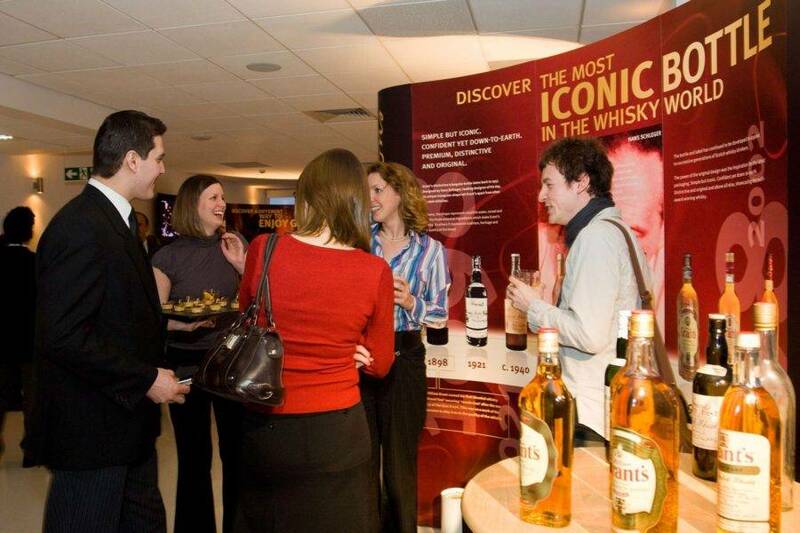 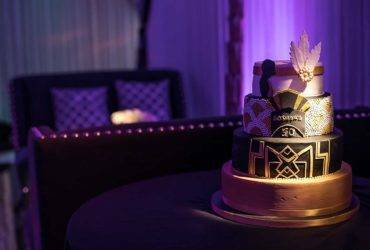 Top professional bar tenders, DJ, LED club percussionist and a world-renowned illusionist and mind reader kept guests entertained throughout the afternoon and into the evening. 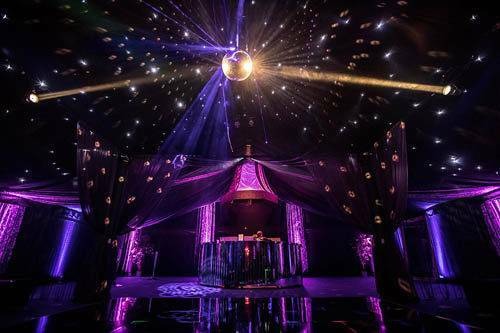 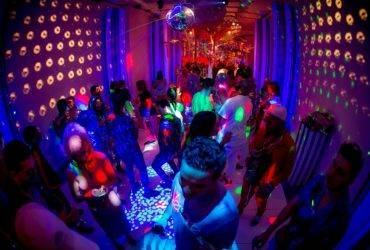 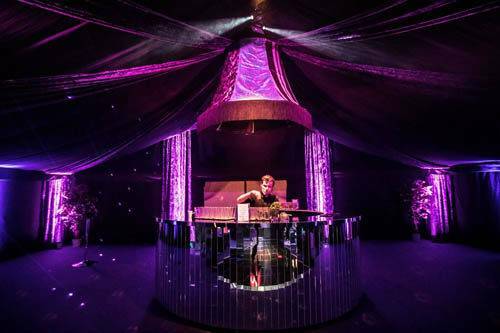 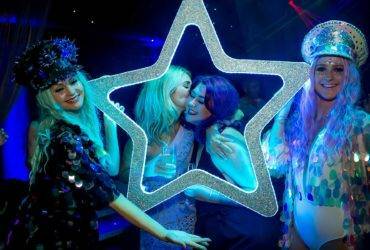 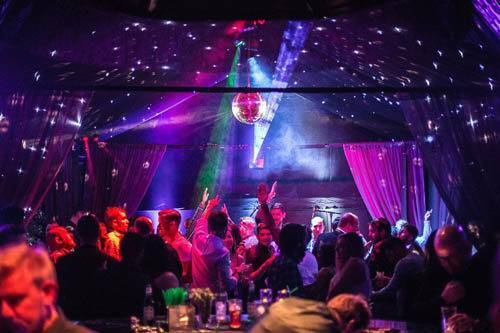 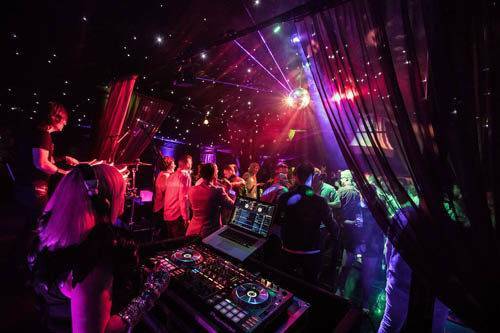 This glamorous and cool summer staff party delivered the very best, fully immersive party atmosphere.